Poet Sue S inclair, UNB Writer-in-Residence 2011-2012, will read from her fourth collection of poetry, Breaker on Monday, March 12 at 7 p.m. in the Faculty Staff Club on the Saint John campus of the University of New Brunswick. Sue Sinclair, who grew up in St. John’s, Nfld. and lives in Toronto and New York City, is the author of four books of poetry – Secrets of Weather & Hope (2001), Mortal Arguments (2003), The Drunken Lovely Bird (2005), and Breaker (2008). 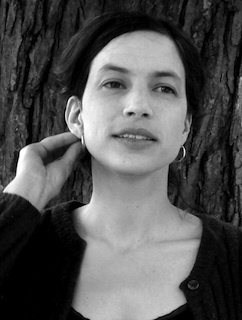 Her work has been shortlisted for the Gerald Lampert Award, the Pat Lowther Award and an Atlantic Poetry Prize.